Normal human cells contain 23 chromosome pairs, each encoding the genetic information of life as well as passing on inheritable traits from parents. Chromosomes are tightly folded into origami-like structures that are mind-boggling in their complexity, yet elegantly unfurled and refolded during cell division or mitosis. Tiny errors during mitosis can cause the formation of aneuploid cells containing an abnormal number of chromosomes and lead to miscarriage and health disorders such as Down syndrome. Additionally, these mistakes have been linked to tumorigenesis and accelerated tumor growth rates. Green Mountain Antibodies, in Burlington, Vermont, offers a wide range of services, including hybridoma and antibody development, protein production and purification, cell culture and assay development for customers around the world. 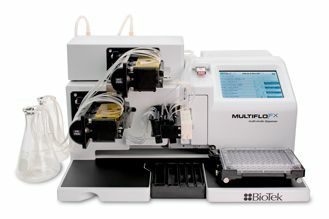 The company’s reputation for attention to detail and quality craftsmanship underscores the drive to operate at peak efficiency, and for Rogelio Zimbron, Laboratory Technician who works on protein purification and high-throughput ELISAs, this means minimizing equipment downtime and unnecessary complexity in laboratory workflows. 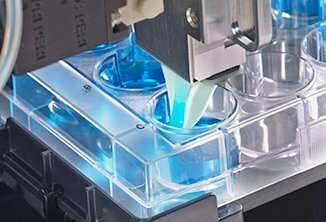 Mimetas, based in Leiden, The Netherlands, is a pioneer in the rapidly growing organ-on-a-chip industry with their unique OrganoPlate® technology. 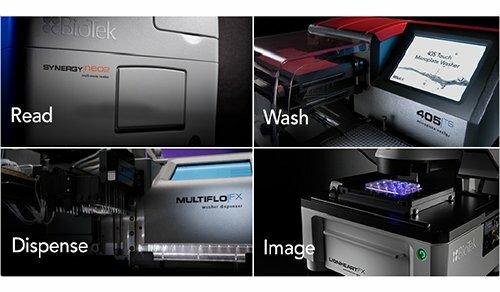 The OrganoPlate uses a familiar 384-well microplate platform that supports up to 96 individual tissue models. The bottom of the plate is comprised of two layers of optical grade glass separated by a thin layer of microfluidic channels. 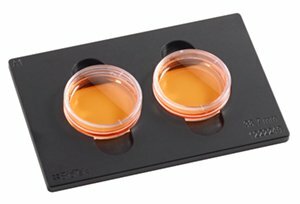 Pump- and tube-free perfusion supplies media from feed wells through the microfluidic channels to the tissue samples when the plate is placed on a rocker. 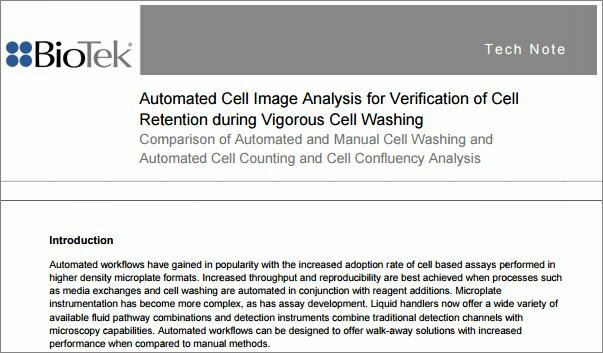 The user-friendly and high-throughput OrganoPlate benefits users in terms of simplified workflows, improved efficiencies, and increased reproducibility. On top of that, Mimetas offers contracted research services, where they directly apply their organ-on-a-chip technology and expertise according to a customer’s goals and needs. Most organisms have circadian clocks, which regulate 24- hour rhythms in a wide variety of activities and behaviors. In humans, the circadian clock regulates sleep onset and influences how much sleep you need. Not surprisingly, changes to these clock factors influence sleep, but also to a wide variety of disorders such as metabolic syndrome, cardiovascular disease, and even cancer. Dr. John Hogenesch, Ohio Eminent Scholar; Professor of Pediatrics in the Divisions of Human Genetics and Immunobiology and the Perinatal Institute; and Deputy Director, Center for Chronobiology at the Cincinnati Children's Hospital Medical Center, in Cincinnati, Ohio, is one of the world’s foremost experts in the molecular mechanisms of circadian rhythms in mammals. His research centers around understanding how biological clocks work and leveraging them to improve human health. At the Institut de Pharmacologie Moléculaire et Cellulaire (IPMC) in Nice/Sophia-Antipolis, France, Drs. Fabienne Anjuère and Véronique Braud are on the cutting edge of immunotherapy research with the goals of identifying therapeutic targets and developing innovative vaccines and immunotherapies to treat inflammatory disorders and cancers. Most recently, they are focused on the study of innate immune cells (natural killer cells, neutrophils, dendritic cells) in healthy and tumorigenic epithelial tissues, which requires use of flow cytometry, cellular and biochemical assays in both in vitro and in vivo studies. Bananas Glow Blue! Yes, They Do! Mexico is among the most biodiverse nations in the world, so it stands to reason that top research institutes, such as the Center for Research and Advanced Studies of the National Polytechnic Institute (CINVESTAV) devote special attention towards understanding this biological and genetic diversity to foster renewable sources of energy, nutrition, therapeutics and more. Dr. Axel Tiessen is Head of the Laboratory of Metabolomics and Molecular Plant Physiology at CINVESTAV’s Irapuato, Guanajuato, Mexico campus, and also Head of the National PlanTECC Laboratory. An important aim of his research is to understand major signals that regulate primary metabolism in plants, including responses to environmental factors and physiological inputs. 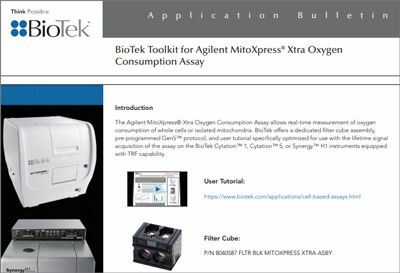 The power of the well-known Seahorse XF technology from Agilent Technologies lies in its ability to simultaneously and kinetically measure mitochondrial respiration and glycolysis – two major energy pathways – in live cells. 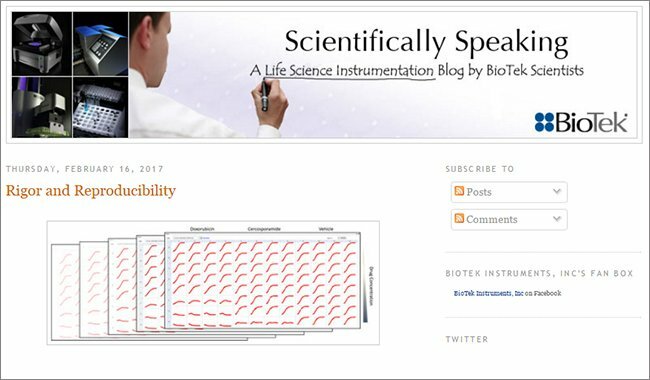 By doing so, researchers can closely monitor these dynamic events in real time rather than using separate assays for each cellular activity. As mitochondrial respiratory rates correlate to cell number, small differences in the number of adherent cells present in each microplate well create differences in the data gleaned from the Seahorse XF workflow. Normalizing XF data allows researchers to compare experimental data from well-to-well, treatment-to-treatment, plate-to-plate and more. Scientists at Stony Brook University, New York, have discovered that the previously known antiviral protein BST2, also known as tetherin or CD371, functions as an oncogenic driver in breast cancer-promoting cell adhesion, growth, migration and invasion of tumor cells. Cayman Chemical in Ann Arbor, Michigan manufactures and supplies small molecules, assay kits, proteins, and antibodies for biomedical research; while also providing bioanalysis and custom assay development services as part of their menu of contract services. By employing this multi-pronged approach, they enable researchers across the globe to answer complex questions that ultimately support human and animal health. Julie Rumble, Scientist I and Laboratory Operations Coordinator at Cayman Chemical, takes a similar approach with a focus on cell-based assays in her dual R&D and contract services roles. ATP-binding cassette (ABC) transporters move substrates across cell membranes and are of great importance to those researching cancer and cancer therapies. The laboratories of Dr. Pia Vogel and Dr. John Wise in the Department of Biological Sciences and the Center for Drug Discovery, Design and Delivery (CD4) at the Southern Methodist University in Dallas, TX, are particularly interested in the ABC transporters P-glycoprotein (P-gp) and breast cancer resistance protein (BCRP). Breast cancer is the most common form of cancer in women worldwide, carrying a lifetime risk of approximately 1 in 8. Its incidence is also growing in men, for whom the risk is much less – about 1 in 1,000. The race is on to determine how breast cancer gets started and progresses at the detailed molecular level. Our natural immunity plays a role, in a finely-balanced arms race between protection against external pathogens and over-stimulation leading to cancer. Dr. Chioma Okeoma leads a research team in Stony Brook, New York, dedicated to improving our understanding of how internal host cell factors can either modulate or promote disease in response to external attack, focusing on HIV and breast cancer. High-throughput screening plays an important role in both the drug discovery process and in the understanding of disease mechanisms. By measuring the effect that small molecule compounds have on cellular function, we can quickly identify the compounds that have a desired effect and move these molecules forwards in the drug discovery process. Fibrosis, a term describing tissue that becomes stiff and scarred, is symptomatic of a number of cardiac, liver and respiratory diseases. A very specific form of fibrosis, known as idiopathic pulmonary fibrosis, is the focus of Dr. Daniel Tschumperlin’s Tissue Repair and Mechanobiology lab at the Mayo Clinic in Rochester, MN. This rare and progressive disease, where lung tissue becomes stiff and scarred without an apparent cause, typically targets an aging population and offers a poor prognosis, as lung function declines and the body cannot receive an adequate oxygen supply. Cystic fibrosis is a disease which causes immense suffering, and Dr. Craig Hodges and his team in Cleveland, Ohio USA are on the front line in the search for treatments and a cure. Hodges is a cell and developmental biologist and Assistant Professor working at the Case Western Reserve University’s School of Medicine. He works on mouse models of cystic fibrosis, some well-established and others created in his own laboratory. Based in the Department of Paediatrics, his research tackles questions around how specific cell types contribute to the disease and whether those processes can be halted or even reversed. Ultimately, he is on a mission to help either alleviate or eliminate the suffering of cystic fibrosis patients. In the Pharmacognosy research unit of the School of Pharmaceutical Sciences at the University of Geneva in Switzerland, Dr. Muriel Cuendet’s lab searches for new cancer chemopreventive and antiparasitic agents from the broad chemical diversity found in natural sources. Professor Patrick Gunning discusses the multidisciplinary approach that is helping his team to fast-track the development of small molecules for treating cancer. In this video, Professor Patrick Gunning discusses his work developing small molecule inhibitors for STAT proteins, with the aim of developing new cancer treatments. STAT-3 is found to be hyperactive in over 70% of human cancer, leading to uncontrolled cell growth, whilst STAT-5 has recently been identified as a target in haematological oncology. 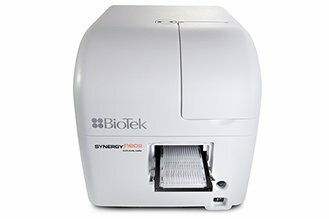 The Cytation™ Cell Imaging Multi-Mode Reader by BioTek Instruments, Inc. has been an invaluable instrument within the Gunning laboratory. Learn how it has helped to accelerate drug discovery by enabling the identification of many promising small molecules in pre-clinical trials. 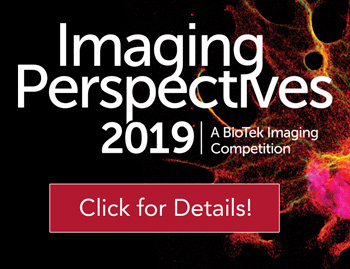 The Brandt Lab in the Department of Ophthalmology and Visual Sciences at the University of Wisconsin-Madison is using the latest technology to carry out innovative research, determining how viral infections happen at a molecular level, and developing novel drugs to stop them. Led by Dr Curtis Brandt, the team is focused on viral gene delivery at sites of infection and development of novel peptides to stop these infections from happening. The city of San Sebastián-Donostia is nestled along the picturesque northern coast of Spain, and is also home to the Contract Research Organization, Biobide. For more than twelve years, Biobide has applied their expertise in the zebrafish animal model to accelerate research and development processes for pharmaceutical, biotechnology, chemical, cosmetic and nutraceutical companies. Their services include developing teratotoxicity, neurotoxicity, cardiotoxicity, hepatotoxicity and other toxicity assays, central nervous system, oncology, immune system related efficacy assays, as well as disease model generation; all as part of preclinical research. 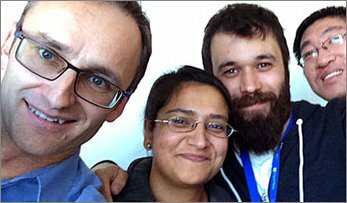 Dr Francesco Paolo Fiorentino had long dreamed of starting his own company; two years ago, this dream became a reality when he and a colleague applied for and won funding to set up Kitos Biotech. Inspired by a talk from a researcher who had already made the leap from postdoc to entrepreneur, Francesco saw the opportunity to use his expertise in cell biology and preclinical research, whilst also embracing the technological shift from traditional manual methods to automation. 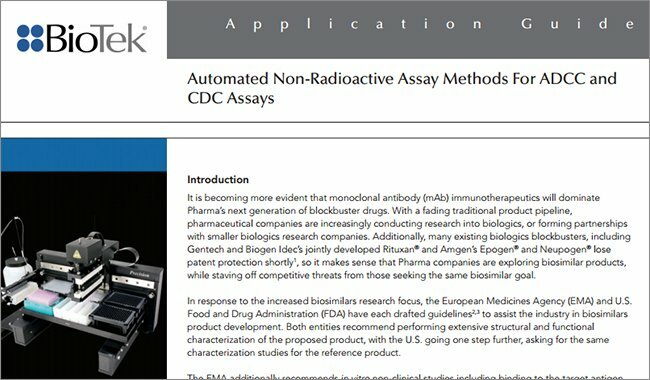 Cell-based assay services at Kitos Biotech use the latest automated technologies to test anticancer compounds on a considerably larger scale than traditional manual methods, addressing the need for academic researchers, biotechs, and pharmaceuticals to access costly high-throughput technology. In an interview with SelectScience®, Dr Fiorentino discussed the technology advancing cell-based assays for anticancer drug discovery and how he is improving services at Kitos Biotech. Matis is a leading food and biotechnology research institute in Iceland. Matis’ vision is to increase the value of food processing and food production, and to ensure the safety and quality of food and food products. 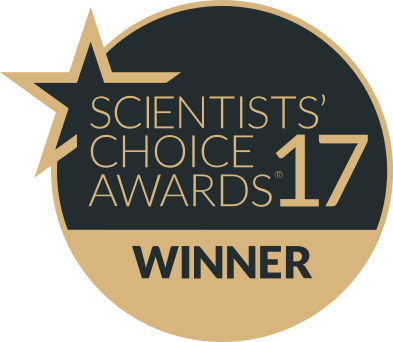 SelectScience® spoke to Dr. Eva Kuttner, to learn more about the technology the company is using in its research. In 2013, Dr. Angel Garcia Martin and Dr. Olatz Leis co-founded StemTek Therapeutics (Bilbao, Spain) as a biopharmaceutical company specializing in cancer stem cell research and drug discovery for novel anticancer therapies. Most chemotherapies and radiotherapies do not target these special cells, which may lead to post-therapy tumor relapse and expansion. Dr. Garcia Martin notes that although finding specific targets in cancer stem cells is complex, they are essential for a durable response in cancer treatment. 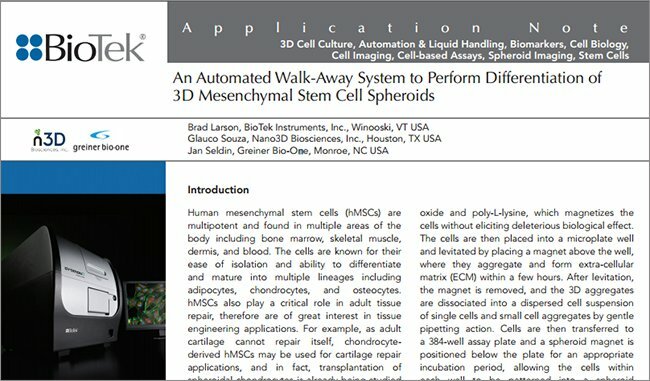 StemTek eases some of this complexity for researchers by offering in vitro and in vivo screening methods and services based upon their patent-pending Cell2Sphere™ novel compound screening system. Dr. Gwendalyn Randolph started her career studying immune cell trafficking in and out of tissues, particularly myeloid cells that initiate immune responses and those that derive from monocytes in the blood. In the chronic cardiovascular disease atherosclerosis, she wondered if there was an association between disease progression and the accumulation of myeloid cells because they couldn’t traffic out of the area. As part of this research, she looked at lymphatic vessels, as they drain fluid and traffic certain immune cells to lymph nodes. Dr. Jorge Farías studies cellular and molecular mechanisms in fish spermatozoa as part of his role as the Director of Chemical Engineering at the Universidad de La Frontera in Temuco, Chile. Spermatogenesis, which is the development of sperm, is a delicate balance between cell proliferation, differentiation and apoptosis, and disruptions can have profound implications. Kirk McManus, Associate Professor, University of Manitoba, and Senior Scientist, CancerCare Manitoba, discusses his ground breaking colorectal cancer research, which aims to minimize the morbidity rates of cancers. 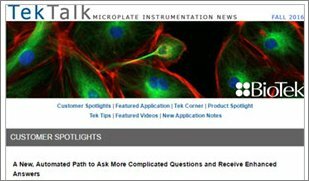 Learn how this research is being carried out using an advanced instrument workflow from BioTek, which has streamlined his team's cancer cell studies to great effect. Metals play a very important role in biology, as metal ions are associated with an estimated 40% of all proteins. In bacteria, dedicated acquisition and efflux systems tightly control metal homeostasis. Some metals, such as iron, are so critical to bacterial physiology that in most cases only the acquisition system exists; while others, such as copper, are so toxic that only efflux systems exist. It is this copper toxicity that is of particular interest to Dr. Michael Johnson and his new laboratory in the Department of Immunobiology at the University of Arizona’s College of Medicine. Dr. Johnson notes that although bacteria can develop resistance, as seen against modern antibiotic therapies, they remain vulnerable to the toxic effects of copper. His research aims to unravel this age-old mystery by understanding how copper is toxic to bacteria, and how bacteria overcome copper toxicity. Amila Nanayakkara, a researcher in the laboratory of Dr Pia Vogel and Dr John Wise in the Department of Biology at the Southern Methodist University of Dallas, spoke to SelectScience® about the lab’s techniques and technologies and how they are used to advance their cancer research. Malignant tumors are heterogeneous, demonstrating a diverse population of cell morphologies and phenotypic profiles. This results in specific cancer types expressing dissimilar characteristics from one patient to the next, and chemotherapies targeted towards a specific tumor may not eradicate the entire cellular mass. Dr. Steve Quiros and his colleague, Dr. Rodrigo Mora, at the Tumor Chemosensitivity Laboratory (LQT), Faculty of Microbiology at the University of Costa Rica are taking a close look at mechanisms to circumvent these hurdles and increase the effectiveness of chemotherapies, cancer diagnostic tools and personalized treatments. With more than a decade of experience, few researchers have more expertise than Dr. Sachin Katyal when it comes to the comet assay, also known as single cell gel electrophoresis (SCGE). As a post-doc at St. Jude Children’s Research Hospital, Dr. Katyal incorporated this assay to study neural damage, and now in his dual role as Assistant Professor in Pharmacology and Therapeutics at the University of Manitoba and Senior Scientist with the Research Institute in Oncology and Hematology (RIOH) at CancerCare Manitoba in Winnipeg, Canada, Dr. Katyal applies the comet assay in his studies on brain tumors and other cancers. 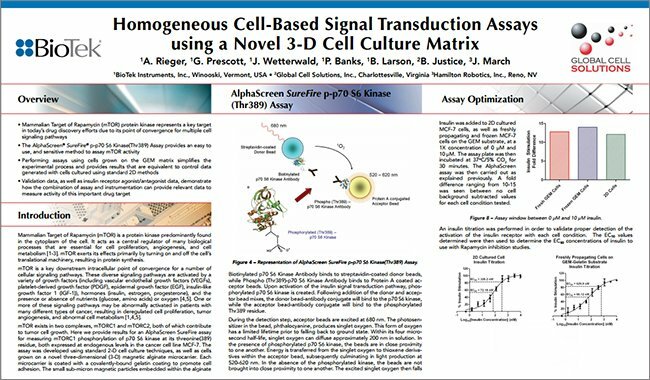 AssayQuant Technologies, Inc., in Marlborough, Massachusetts is a growing Life Science company that develops innovative enzyme assay formats for a quantum improvement in performance and productivity to enable discovery or accelerate drug development. Its founders, Dr. Erik Schaefer and Dr. Barbara Imperiali, each impart a wealth of experience that allows AssayQuant to deliver exceptional value to their customers. Dr Kirk McManus, Associate Professor in the Department of Biochemistry & Medical Genetics at the University of Manitoba and a Senior Scientist within the Research Institute in Oncology at CancerCare Manitoba, spoke to SelectScience® about his cutting-edge cancer research, which aims to identify cancer causing genetic abnormalities and screen potential therapies. SelectScience® spoke to Dr Gabriel Peckham, Principal Investigator, Black Ivory Biotech about his research into developing new transportable technologies for biodetection. In the Department of Environmental Science and Health at the National University of Science and Technology (NUST) in Bulawayo, Zimbabwe, Mr. Charles Teta specializes in ecotoxicology. His research includes uncovering the frequency and effects of endocrine disrupting chemicals in native fish, and analyzing hazardous chemicals such as heavy metals and pesticides in the environment that may have originated from municipal landfills, mines and urban effluents. 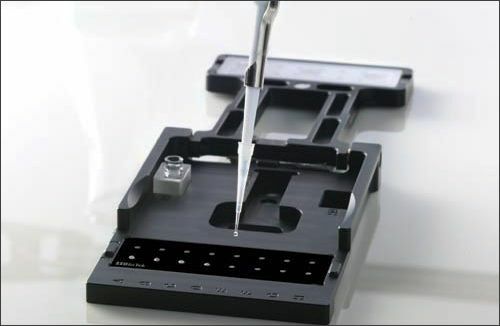 With several kinetic and end-point assay techniques already employed, the manual processes were time consuming, and human error was an ever-present risk when dispensing into a microplate with a single-channel or multi-channel pipette. If reagents were added too slowly, or mixed incompletely, the assays had to be repeated, thereby doubling efforts, sample volume and costly materials. In the Department of Immuno-Oncology in the Beckman Research Institute at City of Hope National Medical Center, Dr. Marcin Kortylewski and his group incorporate a “flank” strategy in the fight against cancer. Instead of directly focusing on tumor cells, which can evolve over time, the researchers target well-defined immune cell functions. Dr. Kortylewski explains that the immune cell protein, STAT3 (signal transducer and activator of transcription, third member of the family), plays the role of master regulator for normal immune response. STAT3 also performs a similar function when immune cells migrate into the tumor microenvironment. This creates an immunosuppressive effect that prevents a strong anti-tumor response, so blocking this protein can re-energize anti-tumor immunity. His research suggests that oligonucleotide-based therapeutics that inhibit STAT3 in a cell-selective manner may effectively restore the anti-tumor immune response. Watch this video to learn more about the drug and product screening process at Likarda, a contract research organization. Dr Lisa Stehno-Bittel, President & CEO of Likarda, discusses the problems of screening drugs for efficacy. 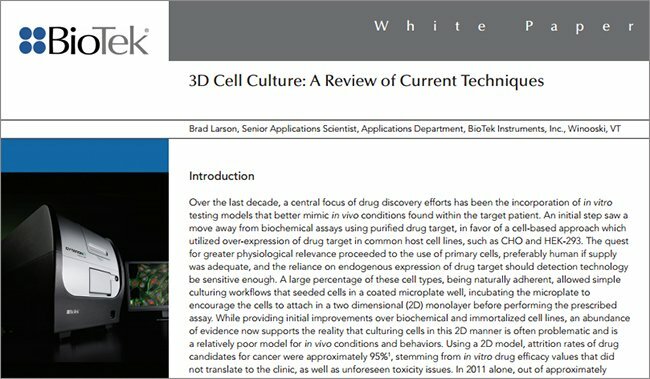 Due to the nature of cultured cells, it is very difficult to predict which drugs you’re working with are finally going to work in the human body. 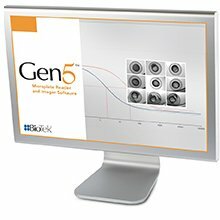 By employing the BioTek Cytation 5, Likarda is able to offer the most sophisticated 3D results, efficiently testing drugs in a representative manner. Biocontrol agents provide a safer alternative to chemical pesticides and insecticides for the agricultural and forestry industries, as well as human health. In this video, Dr Bethany Greenfield, Post-Doctoral Research Assistant in the Biocontrol and Natural Products (BANP) Group at Swansea University, describes her research into the use of Metarhizium anisopliae for the control of mosquitoes. 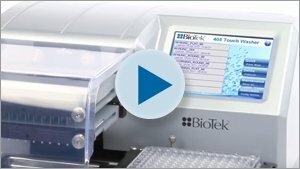 Hear how the BioTek Synergy H1 enables the group to efficiently perform a range of analyses, from protein quantification to measuring insect stress response. Like many researchers, Dr. Kirk McManus, Associate Professor in the Department of Biochemistry and Medical Genetics at the University of Manitoba, has many questions, and he and his team are very busy, looking for answers! The main goals of Dr. McManus' primary research area, colorectal cancer, are to a) identify aberrant genes that cause chromosome instability (CIN), and b) once these genes are found, identify new drug targets that exploit the aberrant genes through synthetic lethality. 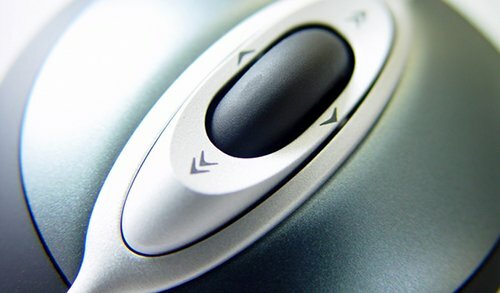 Discover how the Director of the Stanford Cardiovascular Institute uses this technology. Under the leadership of Dr. Ratmir Derda, researchers in the Derda Research Group at the University of Alberta Department of Chemistry and Alberta Glycomics Centre seek novel, portable platforms to aid in chemical, biological, clinical and even specialized 3D cell-based applications through microfluidics and micro-patterned paper. The far-ranging implications of this research are to increase consumable portability and affordability, and simplify processes, especially in developing nations or laboratories with limited resources. 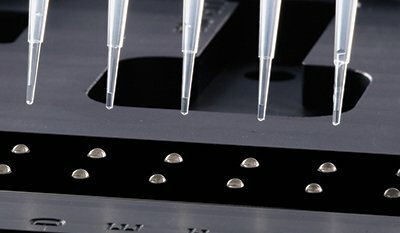 SyntArray, founded by Dr. Derda, governs commercialization of these unique microfluidic platforms. Dr. David Sibley’s lab at the Washington University in St. Louis School of Medicine, Department of Molecular Microbiology studies the pathogenic, intracellular parasite, Toxoplasma gondii. This parasite causes toxoplasmosis in warm-blooded animals, and is a model for understanding other intracellular parasites and the diseases they cause. Ms. Beth Selleck is a graduate student in Dr. Sibley’s lab, researching the interaction between the host innate immune system and the T. gondii parasite, and specifically looking at how infected cells are able to kill or prevent the parasite’s replication. Dr. Rupa Ray is a Medical Instructor in Dr. Salvatore Pizzo’s pathology lab at Duke University (Durham, NC), where cancer biology and proteinase regulation are studied. Of particular interest is glucose-regulated protein 78 (GRP78), which is usually found in the endoplasmic reticulum, but is also found to translocate to tumor cell surfaces, where it acts like a growth factor-like receptor to promote tumor growth and metastasis. The Pizzo lab seeks to understand GRP78’s role in the pathophysiology of cancer, and its potential use as a cancer therapy target. Vicky Huang is a senior scientist responsible for R&D at Eurofins Panlabs Taiwan, Ltd., where she characterizes potential drug compound leads as the step between receptor binding assays and in vivo studies. The compounds are tested using cell-based assays such as GPCR and cell proliferation, and since many compounds are tested and diluted every day, manual processes were very time consuming. We love making customers happy, we really do! And every now and then, we hear from one of those happy customers in a way that sparks huge grins as it radiates throughout the entire company. Madeleine (Maddie) LaRue is one of those customers. We are so proud to have made an impact in her life, and wish her much success as she continues her research and career. Analytical Biochemical Laboratory BV (ABL) is an independent contract bioanalytical laboratory located in Assen, The Netherlands, that offers analysis and method development for early drug discovery stages. These methods include drug screening and cell-based assays. The company is one of five companies that formed an alliance as Integrex Research to offer pharmaceutical and biopharmaceutical companies a complete drug discovery service package. The Chemical Biology Consortium Sweden (CBCS) is a government-funded, non-profit group dedicated to providing academic research infrastructure for the discovery and development of small molecules and molecular probes for life science applications. CBCS works with academia and industry throughout Sweden on high-throughput screening (HTS) applications, with a chemical library of 17,500 compounds. 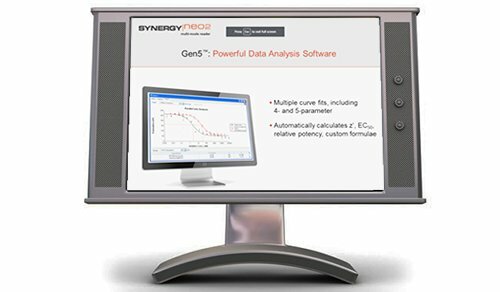 Genomatica, Inc., uses systems-based strain engineering to develop fermentation organisms, key components of their integrated processes to produce intermediate and basic chemicals from renewable feedstocks. As such, these sustainable chemicals are direct drop-in replacements for the identical chemicals produced from conventional petroleum-based feedstocks but with a reduced environmental footprint. Dr. Li-Fen Huang is an Assistant Professor at Yuan Ze University Graduate School of Biotechnology and Bioengineering in Taiwan, ROC. Her research over the past three years has two goals. First, she is using plant molecular biology methods to engineer glycosylation pathways for protein expression systems within rice suspension cells. Plant-based expression is less expensive than mammalian-based systems, and also has lower biosafety risks. However, mechanisms that work in plant cells are not compatible with these in mammalian cells, so her lab must find a way to integrate these mechanisms in suspended rice cells. Dr. Samuel Hasson is a post-doctoral fellow at the National Institutes of Health, National Center for Advancing Translational Sciences (NIH, NCATS), under the direction of Jim Inglese. The Inglese lab’s research goals include translating molecular or cellular phenotypes of human disease biology into innovative high-throughput screening (HTS) compatible drug discovery assays. 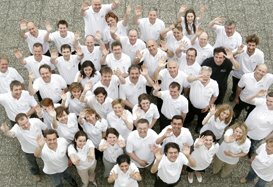 Dr. Inglese’s team also seeks to develop new paradigms and technologies that advance chemical biology. Within the lab, Dr. Hasson is interested in the link between mitochondrial dysfunction and Parkinson’s disease, a chronic and progressive movement disorder, and works with cell-based and target-based assays. He created a set of high-content assays to report the modulation of mitochondrial quality control as it relates to the Parkinson’s disease pathology. These assays are being used to screen for genetic and small molecule effectors that control the cell’s ability to eliminate damaged mitochondria. 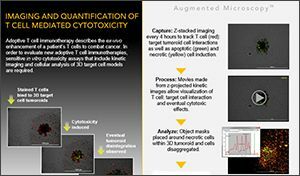 INDIGO Biosciences in State College, Pennsylvania, offers kits and screening services for drug discovery and active ingredient determinations using their cell-based nuclear receptor reporter assay. 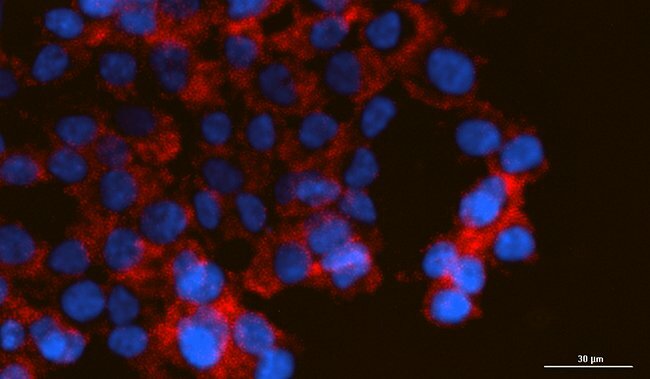 A unique, robust cryo-preservation technique called CryoMite™ preserves the nuclear receptor reporter cells to simplify the overall assay process. Kathleen Green's laboratory at Northwestern University, Feinberg School of Medicine, Department of Pathology studies cell adhesion and the role it plays in human skin. Specifically, her lab is focused on desmosomal and related intercellular junction molecules, and how these molecules relate to and influence cell adhesion, cell behavior and skin development. Understanding desmosome molecules can unlock key information in many skin pathologies including blistering disorders and cancer. Dr. Jüergen Polle researches stress physiology with microalgae at Brooklyn College of the City University of New York. Miocroalgae examples include unicellular green algae, diatoms and cyanobacteria. By focusing on regulation of isoprenoid and lipid metabolism, Dr. Polle is shedding light on algae as a potential biofuel source. Dr. Gautam Dantas' lab is part of Washington University School of Medicine's newly renovated Center for Genome Sciences and Systems Biology. The open-format and modular lab space is setup to enable interdisciplinary and collaborative research with neighboring labs. The Dantas lab seeks to understand genetic and biochemical mechanisms that allow some microbes to tolerate materials that are toxic to other microbes. This research may be used to understand and combat antibiotic resistance and to improve biofuel production. Dr. Liesbeth Jacobs is the Production Manager at Prionics in Lelystad, Netherlands, where they manufacture diagnostic ELISA test kits for farm animals. As part of the production process, the microplates are coated with specific antigens and subsequently washed to remove unbound material. 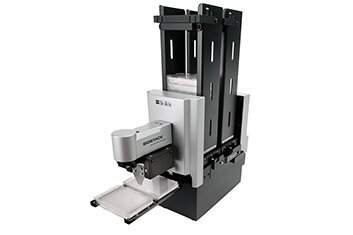 Previously, this process involved manual coating methods and use of microplate washer/stacker systems that were quite old and unreliable. Dr. Jacobs notes, "We wanted more automation, and a system that was flexible and scalable." For two years, Dr. Marcelo Ramalho-Ortigao has been principal investigator in the Department of Entomology’s Biology of Disease Vectors Laboratory at Kansas State University. As a molecular biologist, Dr. Ramalho-Ortigao researches sand fly vectors and the interaction between sand flies and parasites of the genus Leishmania, looking for ways to use vector-based molecules to prevent or halt parasite development and subsequent leishmaniasis disease. His research is funded through grants from the National Institute of Allergy and Infectious Diseases NIAID/NIH. Lots of Stress, A Little Luck, and A Brand New Epoch! Perhaps more than a typical researcher, Joël Tardivel-Lacombe’s research day is filled with stress. Mr. Tardivel-Lacombe’s team, Department 624, studies cellular response to stress using the pancreatic cell as a model at the Institut National de la Santé et de la Recherché Médicale (INSERM) in the heart of the Luminy Science and Technology park in Marseille, France. The lab’s goal is to understand the mechanisms of cancer metastasis and to find therapeutic targets that could be used as a therapy or cure for many cancer types. 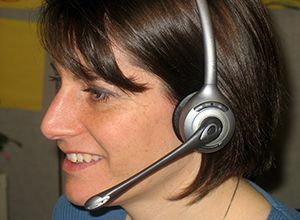 A total of six research teams study various molecular aspects of cellular stress including: biology of pancreatic stress, new cellular stress response pathways, therapeutic antibodies and immunotargeting (TAI), clinical and preclinical studies, regulation of signaling pathways and targeting stress proteins in prostate cancers. Astoria-Pacific International (API) designs, manufactures, and markets diagnostic instrumentation and kits to screen newborns for a variety of treatable diseases. 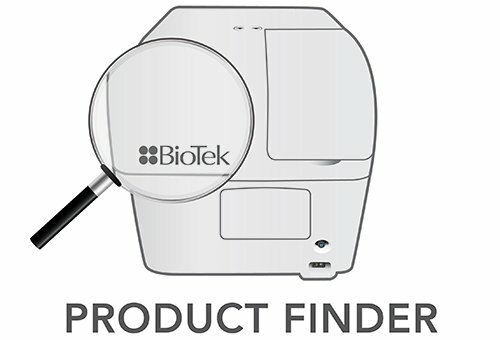 Small samples in the form of dried blood spots are used with API’s kits and their SPOTCHECK® flow analyzer to test for Biotinidase, GALT (Uridyltransferase), Total Galactose, Phenylalanine, Tyrosine, and G6PD. Alana Lerch is the Newborn Screening Product Manager at Astoria-Pacific, and also acts as a customer advocate to ensure that her customers receive outstanding service and the highest overall value from Astoria-Pacific products. IBT Laboratories has been the premier provider of immunology, allergy and molecular biology testing services for hospitals, clinical labs, physicians and universities since 1983. 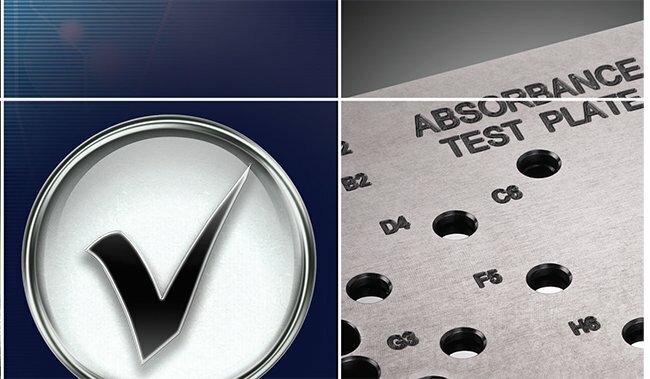 Additionally, IBT Laboratories serves some of the world’s largest pharmaceutical and biotechnology companies, in vitro diagnostic firms and contract research organizations (CROs). Deciphera Pharmaceuticals develops small molecule switch inhibitors that biomimetically inhibit the function of protein kinases. Deciphera is currently designing and optimizing these compounds on several oncogenic kinases including those involved in leukemia, melanoma and colon cancer. A sunflower, a.k.a. girasol, girasole, and girassol in various Latin-based languages, seems to glow as it turns to greet the light on a sunny day. And to Drs. Susan Burgess and Frauke Rininsland, co-founders of Gyrasol Technologies, Inc., the sunflower’s glow embodies the small molecule central to their fluorescence-based detection platform. Southern Research Institute (SRI) is a multi-site organization specializing in scientific discovery and technology development for public, private and government sectors. 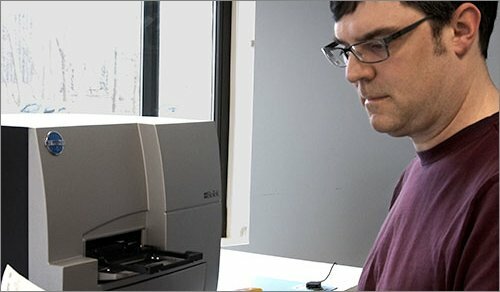 Within SRI’s Drug Discovery division, Research Biologist Krister Wennerberg runs the assay development lab, providing proof of concept for specific compound screening assays before transitioning them to a neighboring HTS laboratory. Fluorescent polarization, HTRF®, AlphaScreen®, absorbance, fluorescence intensity and luminescent assays are commonly required as part of the development process. 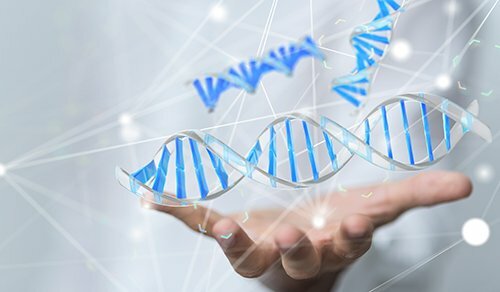 Myriad is the Greek term for ten thousand, and for Myriad Genetics in Utah, it represents the potential of genetics to influence different facets of medical care. 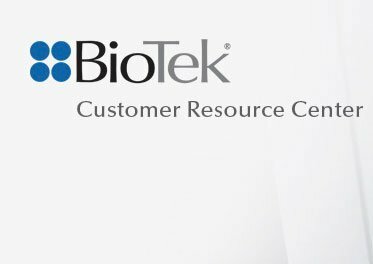 Responsible for the discovery of BRCA (breast cancer) genes, this biotechnology company is so focused on this potential that it has even enlisted the vast and detailed genealogy records maintained by the Mormon church to aid its research in therapeutic and molecular diagnostic products.